To say Washington State has diverse fishing grounds would be the understatement of the century. 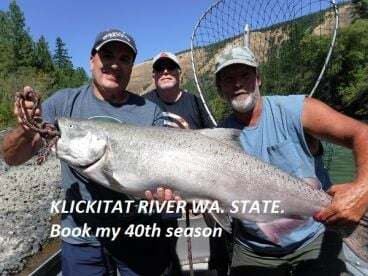 With more than 7,500 lakes, 1,600 creeks, and 140 rivers, you could easily devote your whole life to fishing new locations in Washington alone if you wanted. 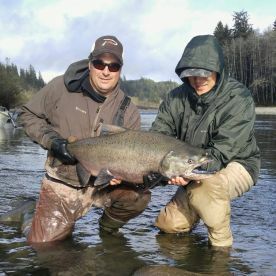 Washington fly fishing is an integral part of this freshwater experience, one that makes the Evergreen State a favorite amongst anglers all over the nation. Freshwater fishing in Washington is dominated by Salmon and Trout that come in many shapes and sizes. On the other hand, saltwater fly fishing can offer both Cutthroat Trout and Salmon, as well as the likes of Lingcod and Rockfish. 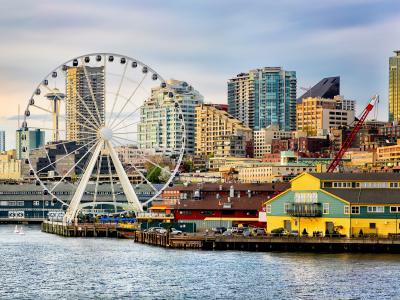 With so many fantastic options in Washington, where do you even begin? 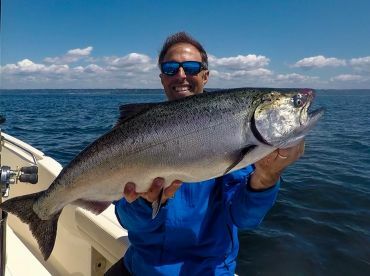 Puget Sound is the main saltwater destination for fly anglers, making it an easy pick if you’re up for some outstanding Salmon fishing near Seattle or Tacoma. As for the freshwater, we’ll take you through some of the most popular rivers, streams, and lakes that should be on your radar. Spreading over 1,200 miles from British Columbia to Oregon, the Columbia River is the largest river in the entire Pacific Northwest. Once the biggest Salmon producer in the entire world, the river is still home to some of the best Salmon fishing in the country. Add to that a strong Steelhead presence in the winter as well as some of the best Sturgeon angling on the planet, and it’s easy to see what the fuss is about. Salmon fishing is especially strong near the mouth of the Columbia River. One of the top places on the mouth is Cape Disappointment State Park where the fishing is anything but disappointing! 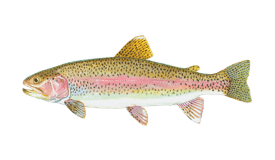 Also known as the “Yak,” the Yakima River is probably the best place for Rainbow Trout fishing in fall. Thanks to plentiful hatches and low flows, you’re looking at a very potent fishery until as late as December. Summer fishing here is also great, but it can get really crowded when the weather is nice. If you don’t mind the young crowd from Central Washington University, be sure to check it out. Some anglers would say that fishing for big trophy Rainbows on their way back from the Pacific is what Washington fishing is all about. If you’re looking to experience this staple of local fishing, you’re in luck! There are dozens upon dozens of rivers where you can partake in this proud tradition. The best among those rivers are located on the west side of the Olympic Peninsula. Anglers consider the Sol Duc, Calawah, and Bogachiel Rivers to be the absolute cream of the crop, with some trophy fish weighing as much as 25 pounds. 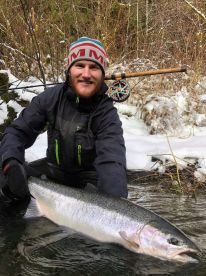 When it comes to the winter Steelhead bite, look no further. Testifying to the sheer scale of Washington Lake fishing is the fact that the traditional “Opening Day” in April draws around 300,000 anglers every year. The lakes in the western part of the state are famous for their Rainbow Trout bite, and for good reason. These include the Padden and Silver Lakes in Whatcom County, the Pass, McMurray, and Erie Lakes in Skagit County, as well as many, many more. While the eastern lakes also have amazing Trout fishing, they also boast impressive numbers of Largemouth and Smallmouth Bass, Walleye, Crappie, Bluegills, and more. Grant County bears a special mention, as it is often referred to as having the best Trout fishing waters in the whole of Washington. Noteworthy lakes in the county include Park, Lenice, Perch, Blue, and Merry Lake. The good thing about Puget Sound apart from the great fishing is the convenient location. If you’re heading out from Seattle, Tacoma, or one of the other cities in the area, it’s pretty much in your backyard. From flats and drop-offs to estuaries and shelves, you name it and it’s somewhere in the sound. 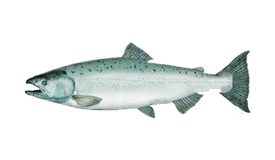 The biggest saltwater estuary on the West Coast is home to a variety of different fish. Whether it’s Salmon, Cutthroat Trout, Steelhead, Rockfish, or Lingcod, you’ll have plenty of opportunities to test out your fly skills in the salt. A 6–7’ rod will serve you just fine in both freshwater and saltwater fishing grounds. You can go light if all you want to do is run streamers after Cutthroat Trout, but you’ll need a heavier rod for bigger fish like Steelhead. Going with a 7’ rod strikes a good balance of being able to use bulkier flies to cover more ground, while at the same time not being too heavy for a whole day’s worth of casting. 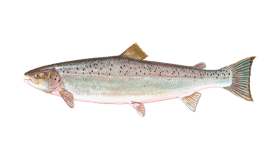 As with other places on the West Coast, the local Trout eat a lot of midges. This makes patterns like the Brassie or the Zebra Midge indispensable to your fly arsenal. Mainstays like dry flies for creek fishing as well as Hopper patterns when going after Yakima Trout are also a must. When fishing the waters of Puget Sound, your flies should imitate squid, herring, and crustaceans for the best results. The best time to go usually depends on the species you’re looking to fish for. If it’s Steelhead, you’re free to go any time of the year. This also applies to Trout, but some other species can be a bit more restrictive. 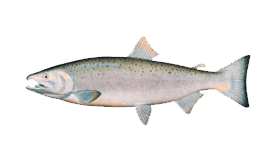 Chinook and Coho Salmon, for example, peak in fall, while the best time for Lingcod is definitely summer. Whenever you decide to drop by, you’ll have a generous amount of fishing opportunities available, and then some! Many things can be said about Washington, but lacking in good fly fishing isn’t one of them.